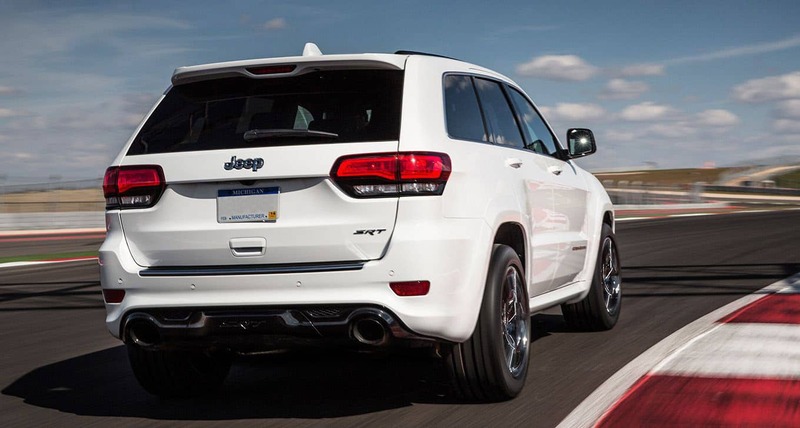 For customers who want the iconic performance of a Jeep, the refinement of a Grand Cherokee, and a high-performance powertrain, the 2015 Jeep Grand Cherokee SRT is the answer. Merging the most affordable yet luxurious SUV on the market with next-level power, the SRT comes to 2015 with unmatched elegance and a HEMI engine. For the year, Jeep has added a Launch mode which offers powerful torque and acceleration, which will make for a thrilling ride no matter where you take it. The Grand Cherokee has rightfully earned the reputation as offering customers the most bang for their buck and a truly luxurious ride in the capable form of an SUV. The SRT pushes everything that customers love about the Grand Cherokee to the extreme. The vehicle has a beautiful design that offers driver-centric features and functions to improve both performance and aerodynamics. The exterior offers a blacked out theme both inside and out while the cabin is extremely driver-centric. The leather-wrapped steering wheel has a flat-bottom, as well as paddle shifters and controls for various features. Laguna leather ensures a refined experience for all occupants while a Red Vapor Special Edition Package will offer stunning red adornments throughout the vehicle. The SRT comes stacked with innovative technological features, including an exclusive (to SRT models) Performance Page application. 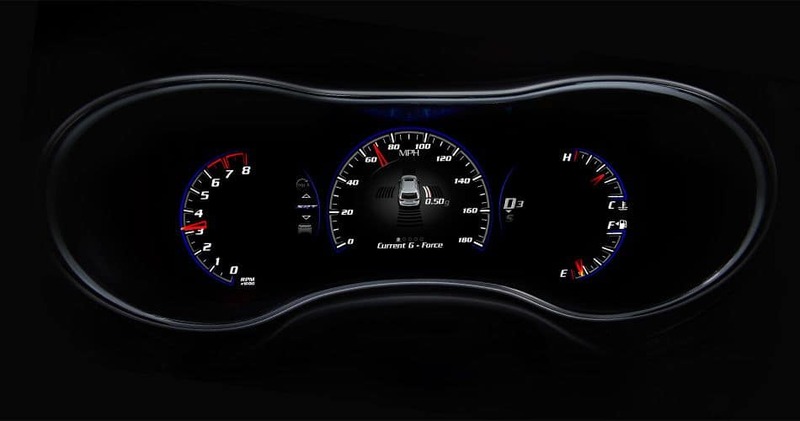 This app, when connected to an 8.4-inch touchscreen, displays information about the vehicle such as the engine's horsepower and torque. The Uconnect system serves multiple purposes, to promoting more driver awareness, offering increased visibility, and boasting incredible media features. What makes the SRT a standout is the incredible 6.4-liter HEMI engine, which offers incomparable power for a track-ready experience. With 475 horsepower and 460 lb-ft of torque, the system is linked to an innovative eight-speed automatic transmission, which offers steering wheel paddle controls. Additionally, there is a Launch Control function that optimizes torque and acceleration. With an adaptive sport suspension and Brembo-brand brakes, the excellent SUV will perform to the highest level in any environment. For customers who want the most from their SUV, the Jeep Grand Cherokee SRT is unparalleled. Boasting the best of everything, from the innovative engine, refined interior, and advanced technology, the SUV will thrill the driver and passengers. Ready for the track or just a trip down to the grocery store, the Jeep Grand Cherokee SRT offers incomparable performance. For more information, contact Reedman Toll of Jenkintown!